After each matchday in La Liga and Serie A (as well as in the UEFA Champions League), Sportsnet will look at how Lionel Messi and Cristiano did, and compare their performances, while keeping a running tally over the course of the season. The Portuguese star made his debut for Juventus following his transfer from Real Madrid over the summer. 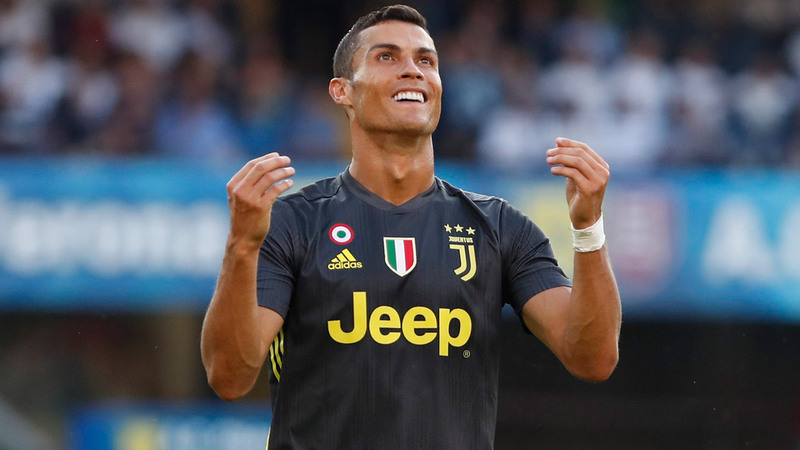 And while Ronaldo didn’t score in Juve’s 3-2 road win over Chievo, he was a constant thorn in the side of the Flying Donkeys. In total, Ronaldo recorded nine shots, but he ran into a hot goalkeeper in Steffano Sorrentino who made a trio of excellent saves to deny the Portuguese –including the potential winner with the match tied at 2-2. The 39-year-old goalkeeper also suffered a fractured nose and whiplash after a late-game collision with Ronaldo inside his penalty area. Before the collision, Ronaldo linked up well with Brazilian Douglas Costa in Juve’s 4-2-3-1 formation, and was especially dangerous when Mario Mandzukic was subbed on in the 64th minute, as he drifted more to the left flank than playing through the middle. Messi put in a man-of-the-match effort in Barcelona’s season opener on Saturday, a convincing 3-0 win over Alaves at the camp Nou. The Argentine magician scored the opener in the 64th minute with a cheeky free kick from 22 yards out that went underneath the defensive wall and beyond the reach of goalkeeper Fernando Pacheco. “Messi never fails to surprise you,” Barcelona coach Ernesto Valverde said. It's just Leo Messi playing football. Pure magic. Messi’s second goal came in the second minute of injury time, when he scored from close range after a pair of Alaves defenders couldn’t clear the ball after it was played into the box. Messi’s free kick made history, as it was Barcelona’s 6,000th goal in La Liga. MATCHDAY 1: MESSI OR RONALDO? While Ronaldo was involved in Juventus’ attack, and caused plenty of problems for Chievo’s defence, Messi was just as important for Barcelona and bagged a brace against Alaves. Ronaldo is expected to make his home debut for Juventus when the Bianconeri host Lazio on Saturday. On the same day, Lionel Messi and Barcelona face Real Valladolid on the road.